Hilroy Bristol Board 2-ply 22" x 28"
For making signs, posters and decorations. 2-Ply.12 mil.22” x 28”. 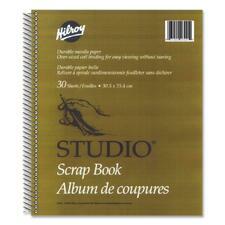 Hilroy Studio® Scrap Book 12" x 10"
Withstands heavy gluing and taping. Durable weight. Manila Paper.Coil bound.5 mil.12” x 10”.30 sheets. 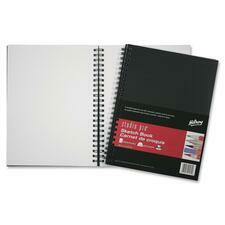 Hilroy Studio® Sketch Book 9" x 12"
Standard weight with smooth finish. Cartridge Paper.Coil bound with a top perforated edge.6.7 mil.9” x 12”.White.30 sheets/pad. 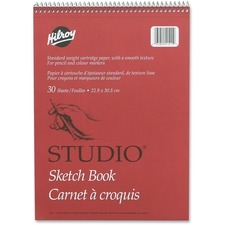 Hilroy Studio Pro® Poly Cover Coil Sketch Book 9" x 12"
Durable poly cover keeps work safe and secure. Twin-wire binding.70 lb. acid-free paper.9" x 12".White.75 sheets/pad. Hilroy Studio Pro® Watercolour Book 9" x 12"
Top bound.90 lb. acid-free paper.9" x 12".White.15 sheets/book. 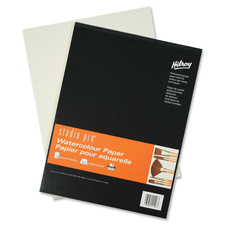 Hilroy Studio Pro™ Watercolour Book 11" x 15"
Top bound.90 lb. 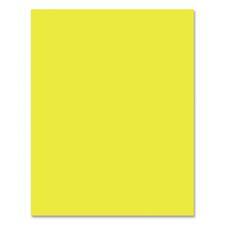 acid-free paper.11" x 15".White.15 sheets/book.